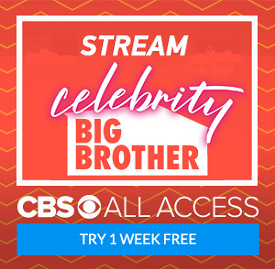 Aloha fellow Big Brother fans! My name is Tara and I've agreed to do some evening update blogs for Big Brother Gossip. Those of you who are used to the detailed blogs from Ash in the past, please make sure you lower your expectations appropriately for me-I'm new the blogging world and although I am fairly articulate I don't have the stamina to stay up too late in order to be able to promise to be 100% accurate as some of what I may write/report about may change in the house after I go bed and be outdated by morning. Ash was amazing and my own personal go-to on here for The Night Owl blog and on twitter to catch up on house happenings in the past and although she is taking a well deserved break, I still miss her. Tonight is my first official attempt at an 'update'. I started watching the feeds today right around the time that Day and Shelli were having a conversation in the lounge room. Day was basically campaigning to Shelli on why she should stay in the house. She made some great points, including offering to gather intel and share it with Shelli. Day was also trying to put out feelers as to whom Shelli is considering putting up against her at the POV ceremony. She flat out stated to Shelli that she would appreciate it if Shelli put up Audrey and just let the house decide. Shelli listened, but didn't appear to very receptive. There was a lot of non-committal noises, but no new alliances or deals made. Meg and Jason were chatting about how being on slop is making them cranky and irritable and how that is making them avoid certain people because their patience is just not there right now. They were mostly referring to Steve. Meg wasn't impressed that Steve told her 'she wasn't pretty, she's cute.' Jeff suggested that Steve be put on slop every week since he seems to like it so much and they need to start breaking him down anyways. Meg did say she thought that would be mean. Later, Steve talked about how he's not doing as well on slop as it seems; he's trying to be a good sport because he's grateful to be in the house and he knows there are people who would love to be in his position. Austin had a few whispers with Liz before she had a shower, talking about how James is his target. Apparently he thinks James is terrible to women. He also mentioned they're going to do a little podcast type show at midnight. I probably won't be up to watch it, as exciting and thrilling as it sounds. Jeff broke the elliptical earlier and Steve helped to fix it. There was a big Austin-led workout session as well before that; Becky hurt her back a little bit and Austin gave her a bit of a massage but it didn't totally help. As I'm typing this, Vanessa and Shelli are in the hammock discussing Audrey. Shelli doesn't understand why Audrey is still such a big target for people. 'She lied about an all girl alliance, ok, so what? What's the big deal?' Vanessa is agreeing with her, stating she 'doesn't even really remember what she [Audrey] did.' My feeds died as this convo was happening and once I got them going again Audrey had joined them by the hammock. They're now talking about random stuff. Jeff, James and Day are in the bathroom having a chat as well. Jeff is saying he just can't figure Vanessa out. He mentions needing to get Steve out soon as well, especially once the memory comps start happening. As things seem to stand right now, look for the POV ceremony to be held tomorrow. John will remove himself from the block and Shelli will likely nominate Meg in his place. Shelli really wants Da'Vonne gone, and unless Day can rally up some votes, that's likely to happen. We still need to consider the Kathy Griffin twist that will come into play as well although it will have little to no impact if the house guests continue to vote unanimously. Imagine that, a BB twist that bombs worse than the Bomb Squad did. Welcome aboard, Tara! Thanks for your efforts -- we're all going to appreciate what you do.